STUDIO G: Lively, fashionable and accessible - Studio G is the new name in contemporary fabrics and wallcoverings. Clarke & Clarke’s talented design team is at the heart of this fresh new brand, bringing design provenance to unique collections that deliver trend savvy designs and colours at an affordable price. 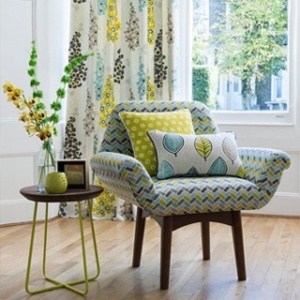 Eclectic in its inspiration and sure to bring the feel-good factor to modern homes, Studio G curtain fabrics are designed with aspirational and fashion aware customers in mind.